Even if Superman can somehow claim victory over most of these guys in a fight, he is not freezing any of them. How can he possibly freeze somebody who can walk around casually at the temperature of a star? As for vibrating them out of existence. All of these guys possess the power cosmic which they can all pretty much use to virtually any effect. At least half of them have greater control over their own molecules along with others standing near them than Superman would have over his own molecules. Some of these guys are just way to haxed to lose to brute force of any kind. @darkseidthanos: Oh, that skimming, not reading and comprehending information thing again. I said Kal can KO him, not that Stardust was KO'd. Stardust has been literally temporarily obliterated by beings less powerful than Kal, so the notion that Supes can't temporarily do the same to Stardust, long enough to get the alien in a position to take the this opponent out permanently, is nonsense. Which leads into the vibration question-it doesn't take long at all. 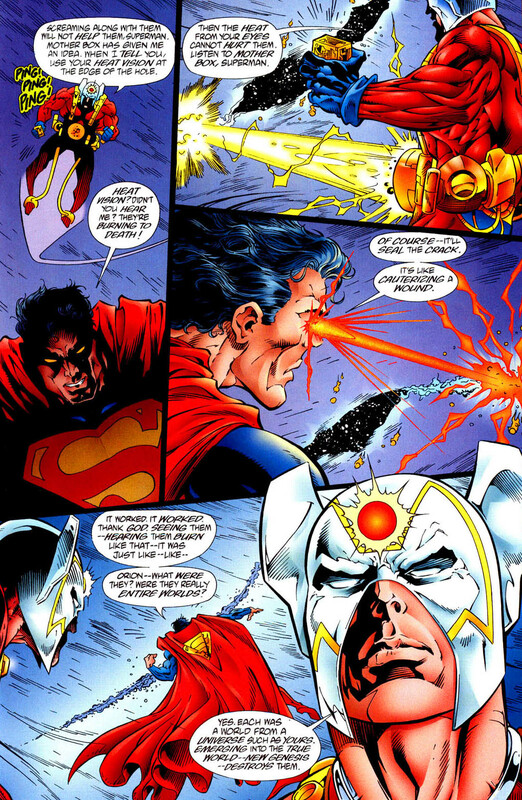 Cyborg Superman was taken apart immediately, like within seconds (Kal didn't have to match his frequency, he was able to directly get his arm in his body, then vibrate him to smithereens). Darkseid was taken out, like instantly. The planet, as you can see, took a little longer because of it's size, but Stardust or Red Mist for that matter, aren't as big as planet, so it shouldn't take long for them to be dealt with as well. Once again, the 'Zone and the "Wall are not "outside help" because he uses them all the time (he even, at times, has carried a pocket Phantom Zone projector). If Superman went and got help from the JLA, or struck a deal with Darkseid or something---that would be getting "outside help". The Comic Vine universe is supposed to be "combined", according to "the rules" so the 'Wall is available to Superman. And if Stardust can't escape from those fates,that's a living death; if it can't reform from being counter vibrated, that's death. @jagernutt: Bizarro is powerful enough to go toe to toe with any of them, and Supes froze him for an extended period. They can at least be frozen temporarily to give this attosecond combat speed man a chance to deal with them more permanently with the methods I have previously described. He stops at the SS. Asteroth is a sky father level being who rules an entire hell dimension. Beta Ray Bill did not batter Stardust in god hunter. Stardust near evenly matched Beta Ray Bill during the fight who was casually destroying planets one after another. Stardust was entirely unharmed and would have continued fighting had Galactus not interrupted them. In fact Stardust was casually destroying planets during the fight as well. Im not convinced Superman can do more damage than Stardust can anyway. I have yet to actually see Superman destroy a planet or anything of that size so casually as Beta Ray Bill and Stardust were doing. Literally, one planet after another was being casually one shotted during their fight. And why exactly is it that Stardust cannot simply escape the fantom zone anyway? Haven't others done that before? They can literally crank there walking temperatures up to supernova without even trying. They are not getting frozen. @darkseidthanos: You must be having another conservation in your head, because I haven't conceded a thing. Your comparing Thor having that armor to Superman using methods that he does all the time, so much that even causal readers of comics know about the "Zone is so off I don't know what to say. Once again-I did not say Stardust has been KO'd. I said he can be KO'd by Superman, since he has been torn apart temporarily, even by Storm's lightning. Superman's hotter than the sun heat vision, so potent it has restored reality itself http://i.imgur.com/qa9CHtW.jpg should do the job long enough to more permanently deal with Stardust. @jagernutt Storm and Beta Ray Bill are not "Skyfathers, so it doesn't take that level of power to affect Stardust. 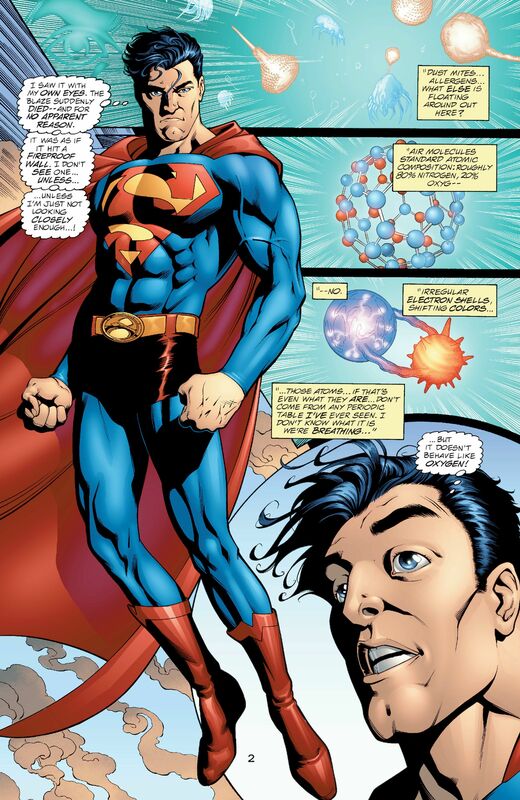 Superman can casually one shot smash a meteor big and dense enough to destroy the Earth http://i.imgur.com/b6ISW3b.jpg (which, since Kal can smash something that can destroy a planet makes him a planet smasher). The Phantom Zone has been escaped sparingly over the years with some major plot machinations, and almost always with outside help. So more than likely, Stardust and crew can't escape on their own. Now if it makes you all feel better, no one is saying Superman can't be beaten---but that's not the point of the thread. The question is can he---and evidence shows he can. So enough with the playground "Can So!" "Can Not!" useless, endless back and forth. On panel evidence demonstrates Superman can clear. Asteroth "IS" a sky father level being. I never said Stardust is a sky father level being. Stardust is made of plasma and not solid matter and as such is immune to physical harm. There is no debating this fact. And Asteroth is literally one of the only loses Stardust has. Stardust like all heralds of Galactus can casually enter and exit different dimensions and plains of existence at will. Unless you can prove that nobody has ever escaped from the fantom zone unaided then any herald of Galactus should be able to do it by default. OP says fight to the death, are you just gonna ignore this with your phanton zone and source wall talk which is bfr? @jagernutt: No one's arguing whether Stardust is immune to physical harm. He/she/it is not immune to being dispersed, contained, and probably removed from this plain of existence-all things Superman can do to him. I have seen no evidence that he, or anyone on this list is more "special" than a Darkseid's abstact form, or a rogue planet molecularly unstable enough to destroy the omniverse. The vast majority of beings that have been placed in the Phantom Zone-unless they had outside help-have not escaped. Didn't matter how powerful they were. As one is rendered into an non substantial state, that has been the fate of those placed there. Many characters powerful enough to traverse dimensions and universes-Aethyr, Dominus, Hal Jordan Green Lantern, Zatanna, Kryptonians from a Pocket Universe that had Pre Crisis powers allowing them to normally traverse time, universes, and dimensions, even Death itself and many more couldn't get out. So the notion that Stardust and crew are more "special" than all of those other characters, and will get out-simply because you don't want to concede an obvious point-is not tenable. I just told you, I'm not interested in getting into a 25 page "Uh Huh!" "Nuh Uh!" playground discourse with you. With respect-if you're simply going to willfully ignore evidence in order to get a result you want, I'm not interested. @darkseidthanos you are focusing on Storm to get around the point that your original claims that Stardust is some kind of "untouchable" intangible being are false, as this character has been torn apart by physical force and energy force time and time again. Even if you remove Storm, it doesn't change that Stardust has been affected by force that Superman can replicate, either through his planet shattering might, or his hotter than the sun heat vision. All Kal needs is a nanosecond to set up Stardust to get placed in the 'Zone, stuck on the wall, or removed from existence via counter vibration. No matter how bad, had, rad, sad, or mad this fact makes you is irrelevant. Why you think because you say so, a trip on the wall won't kill this character is unknown. Characters who have been placed on it haven't all survived. At least two Kryptonians have been slain in the 'Zone. Counter vibration seems to be pretty effective to. -just as with Silver Surfer, Kal has the stuff to withstand whatever Stardust puts out, and the versatile power set to take Stardust out. I could see him stopping at Morg, maybe stopping a bit before that, but probably Morg. Also, stop feeding a troll. Stop going from thread to thread like a deranged stalker and name calling in place of dealing with the points of a post. Doing things like that is actually being a troll, and a juvenile one at that. Clears. None here can match a normal Superman much less a bloodlusted Superman. @jagernutt: Darkseid was literally engulfing entire multiverse and Superman erased him from existence with counter vibrations. None here can claim to be that powerful. @theonewhoknows: I never said stardust is untouchable or intangible, I said she is impervious to physical harm and you posting a PIS scene won't change that, let's choose to accept it tho, storm dispersed her/him using lightning, how does this make you think that heat vision will have the same effect, has heat vision ever done something like this and Storms attack was lightning so how do you know it wasn't the electrical current that harmed stardust? Lightning and heat vision can't be compared in any way, so I ask you again, we have a skyfather level being that supes can't match who harmed stardust and we have stardust harmed by a hammer that was enchanted by Odin, then we have storms PIS scene and you still haven't shown how supes can take out stardust, do you know that stardust wasn't koed or killed by storms attack and the OP says win via death? You say this might make me mad but you're the one doing all the reaching in this thread so I'm guessing you're the one who's getting mad about supes not winning, these are fictional characters bro, I'm not bothered about supes winning or not, I'm just debating for the fun of it and your reaching screams bias in every thread, I even wanted to bump a superman vs thanos thread and saw that you basically had it locked and you got banned, now you wanna say I'm the one who's bias, what the hell dude? Makes to Surfer then the Gloves are off. :) All hell breaks loose. @darkseidthanos: See what the other user Montifan says about Superman vibrating? The trouble is, you apparently only read Marvel comics, and anyone who says anything other than "Marvel Rulllllllesss" is a "troll". You have a nerve trying to lecture me about "fictional characters" when you have name called, talked about me with another user in a negative fashion, willfully ignored evidence, stated I said "A" when I said "B", and generally carried on---all because I disagree with you about fictional fights between fictional characters. You are apparently under the delusion that if someone doesn't agree with you, they are not only wrong---they have to be some kind of terrible person that you think you can name call, talk trash about, and otherwise behave in despicable fashion about---and they're just supposed to take your trash without comment. I am as entitled to make a case for characters as you are. That is what Battle Boards are for. But you have gone too far with name calling, bringing up off the topic of the thread stuff, and talking crap. If you are unable to speak about the topic of a thread, or get in discussions like this without devolving to the level you have, you need to stay off them. That Thanos/Superman thread was my replying to someone who insulted me first, and whined to a mod when I gave them a slight pushback-typical "dish it out but can't take it" user. If I was as thin skinned as they, I could have gone to a mod numerous times about them before they whined about me. We're back where we started because you want to Believe What You Want To Believe, and every time you are given ways Supes wins, you ignore, it, go right back to mentioning things already answered or countered, etc.---then you project your behavior on me. You asked who has Superman frozen that goes in space-I answered Bizarro, and even presented a scan, but as usual you willfully ignore it. I mention others besides Storm who have greatly affected Stardust besides Storm, and you focus on her and ignore the others I mentioned. The Phantom Zone has been used countless times by Superman, but because you want to "win" you act like that isn't so. How can I "debate" with someone who only sees and hears what they want, so they don't have to ever concede anything? Who literally ignores on panel feats, then claims I haven't presented anything? Who brings in off the topic of the thread nonsense---all over a meaningless discussion about fictional characters, then calls me a troll?? Since you won't take my word for it, ask @motifian about the vibrating. If you are unable to converse in a civil manner, we're done---that way, you can continue to Believe What You Want To Believe, I don't have to keep getting a headache from your whining "But Stardust ruuuulllllleess" posts, and life will go on. A Win/Win situation all around. @termiteone4ever: I said awhile ago-Surfer, Thanos and any characters adjacent to them are so bizarrely swooned over by many on this site that even hinting they might lose makes some lose their minds. @theonewhoknows: this seems to be turning into an altercation over nothing but fictional characters so can everybody just calm down..
You said beta Ray Bill and a skyfather affected stardust and those are feats supes cause replicate cause he isn't skyfather level and isn't a magic user so you still haven't told me how supes takes down stardust besides using storm as a go to even tho she used an attack with electrical currents that supes also can't replicate, that attack didn't even ko or kill stardust and this is a fight to the death so how does supes take out stardust? And can you stop about this phantom zone stuff already, is supes gonna go get a phantom zone device mid fight and bfr when its a fight to the death? @darkseidthanos: See, this is what I mean. I have answered the questions in your last post over and over, and you're right back asking the same things. You are trying to "disqualify" the Phantom Zone because you know Stardust has no answer for it. You are hilariously asking for "calm" when you name called and trash talked about me, even to another user---as if you're the innocent, "Voice Of Reason" here. Go read back through the thread-carefully-then get back to me. Conversing with you has exhausted me for now. @theonewhoknows: dude, where will supes get this phantom zone device? Will he leave mid fight and go to his fortress? Post-Crisis Superman loses to half of them, especialy the last few are almost unbeatable for him. @theonewhoknows: win is by death, no one is trying to “disqualify” the phantom zone as you say, but it literally has no bearings in this fight for that is bfr and not a win by death, plus, correct me if I’m wrong, Superman cannot open portals under his own power, and I doubt a portal gun is standard equipment for Superman either. So arguing the phantom zone bfr is pointless. @darkseidthanos: I don't believe you had time to go back through the thread. Do that, then I'll start reading your posts again. @harbingerofmomz you don't get it. Superman can keep 'em there 'till he figures what to do with him, then kill 'em. There's no rule that says you can't incapacitate your opponent until you get the means to take them out---absolutely none. So sorry, but you or anyone else is not going to "disqualify" a perfectly good weapon in Superman's tool box for illogical reasons. Like someone in the thread earlier used the possibility of Surfer trapping Kal in his board. I didn't whine about it, or try to "disqualify" it because Radd doesn't use that very often---I just submitted a counter for it (Supes can vibrate out of it). And speaking of vibrating-Supes can set the projector to let Stardust out-right into his counter vibration technique, and oblivion. See, I'm confident in my character's abilities; clearly some people don't feel the same about theirs. @theonewhoknows: Interesting. So can you show me feats of Superman opening portals to the phantom zone under his own power? Or evidence of him carrying around a phantom zone portal gun on his belt? 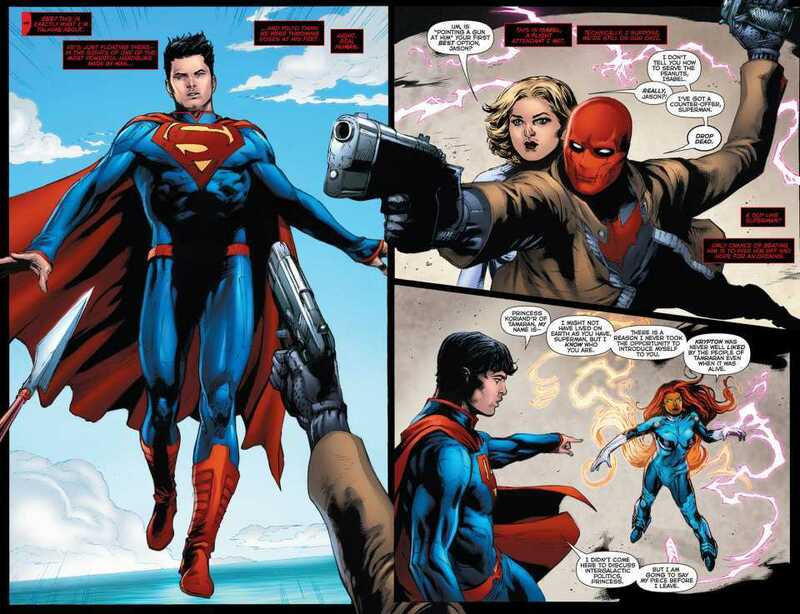 @harbingerofmomz: Superman has unfathomable speed (I give examples of his exploits in post 46). Can you give me a single reason during the course of the battle why, if he gets the idea to use a projector (as he did while fighting Dominus or White Martians, for example) he couldn't use that speed to get a projector, zip back and use it? What possible reason can he not be allowed to use a weapon that he has used many times, in canon, in fights before? Remember, "because I don't like that it gives Superman a win" is not a legit reason. Superman beating a bloodlusted Surfer is truly hilarious, Superman can be stopped at round 4 onward's but gets murderstomped by Surfer. 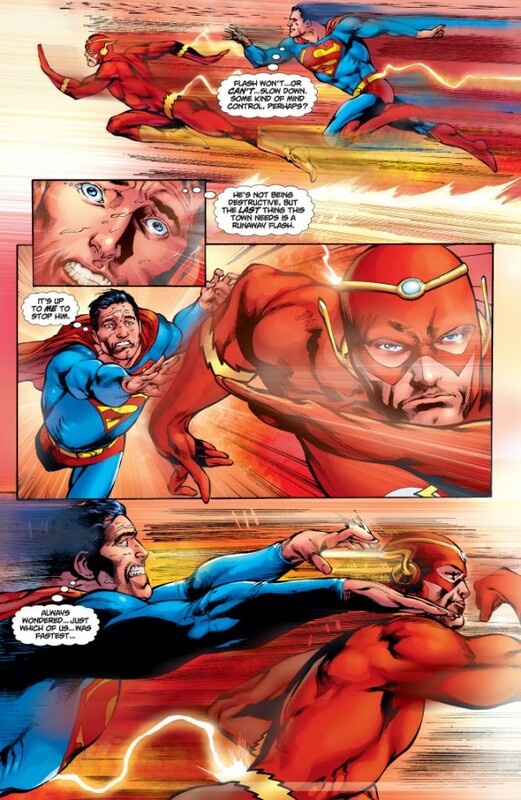 Since Superman has resisted everything that Radd could do to him on multiple occasions, and has the combat speed and planet smashing power to give Surfer the treatment that The Runner gave to Radd, it is truly hilarious that anyone thinks Surfer is assured of a win, much less that he "stomps" Superman. @theonewhoknows: because this is a random encounter for each battle, he has no outside gear other than what he keeps on himself. He can’t just fly away and go get it as it’s not allowed unless it was otherwise specified in the OP. It’s stated in the forum rules if you want to reread through them. 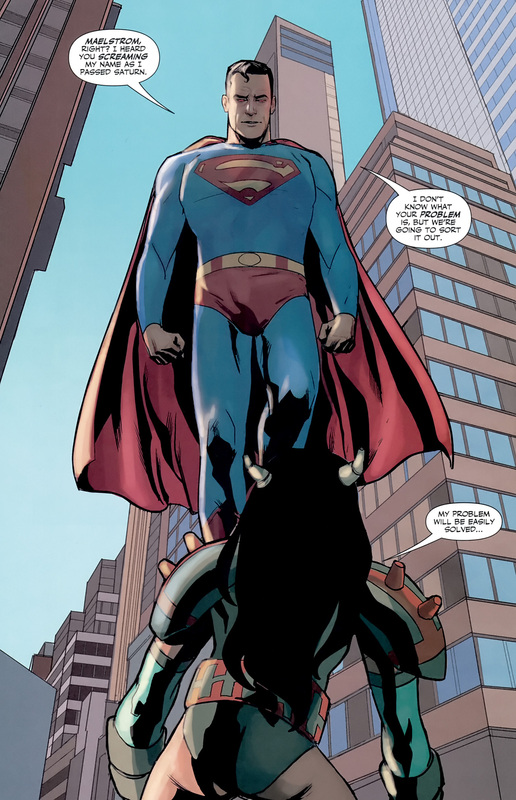 @theonewhoknows: I've taken proper time reading your posts regarding Superman actually (i think you need to work on general format to make it structurally more similar to articles like the ones in peer-to-peer reviews , but that is my subjective opinion) and i have a question: Where do you place him in terms of ranking and tier? I ask because, based on your past comments about what he can and cannot do on a whim/typical VS battle, he's able to beat universal threats. It seems to me as if that's somewhat "incorrect" or contradictive to the writers considering the copious amount of showings he's got which shows how he struggles against enemies far beneath that level. Even if he gets to surfer, Norrin shrinks to sizes smaller than atoms and attacks Clark from the inside with multiple planet busting attacks and MFTL+ charges bwfore growing to giant size, obliterating him. @harbingerofmomz: The only thing I see in the OP is "no prep"; fortunately with a man of Superman's speed, that's not a problem, there is nothing in the OP that says "can't grab a commonly used weapon". So is grabbing a mountain and using it on his opponents is not allowed, as well? You can keep trying to "disqualify" the 'Zone (cause you know Stardust has no answer for it) for the next 1,000 times, and on time 1000 and one, I'll push back on it. Hope you packed a lunch. How telling, like I said before, that I have accepted everything brought against Supes, and the "confident" heralds backers keep trying to "disqualify" things. Sorry. The thing is, that's not the only option---Stardust has been placed in a Black Hole that hurt her; in another incident, kept her out of sight awhile (Superman, as I have chronicled, has resisted Black Holes multiple times); with his telescopic vision, Superman can easily spot one, lure or super speed rush Stardust into one (if Beta Ray Bill can bull rush Stardust into a planet, Kal can rush 'em into a Black Hole; before you comment, Kal has used this strategy on before to get rid of Braniac, and scans are provided earlier in this thread), and if and when the alien escapes it, be waiting with the counter vibration strategy (gonna try to "disqualify" that, too?) 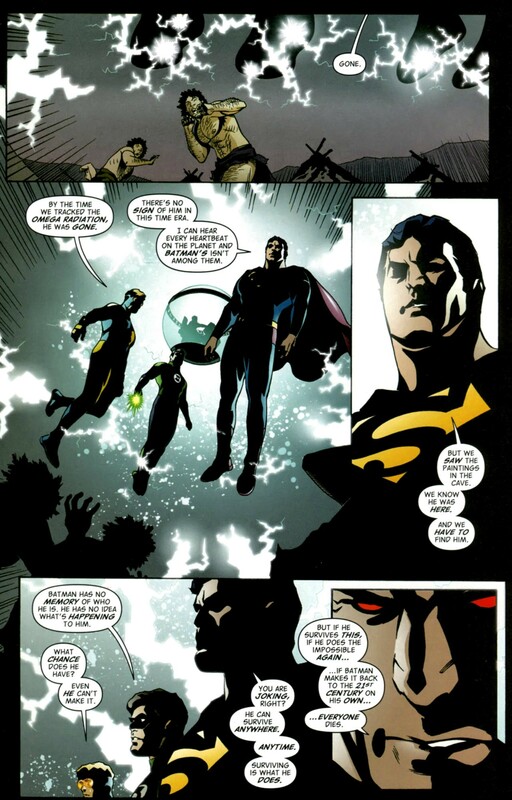 Stardust also has been immobilized between two event horizons, something Superman can replicate with his powers. Superman is not the The Thing, or The Hulk, or Solomon Grundy; often, if he is facing truly formidable competition he uses strategy as well as brute strength, and there is no reason he couldn't and wouldn't do it here. The Heralds are too bloody versatile. I can see him, stopping at Morg or Surfer. @theonewhoknows: Well you should look closer to the OP again then, the setting for this fight is in a destroyed metropolis city in the Mortal Kombat vs DC universe as told by the picture. So Superman will have nowhere to run back to grab his phantom zone gun as it’s a completely different universe than his. No prep means standard gear only, and phantom zone gun is not standard gear for Superman so he won’t have it for this fight. Also I haven’t said a single thing about stardust so I don’t know why you keep bringing her up to me. You would probably scream bloody murder if some of the incidents listed above was used to claim they are the "normal, representative" measure of Norin, and "erased" and "overrules" all his stellar victories and accomplishments---so why do you think that foul standard can be applied to Superman? As another user on another thread said, "Superman seems to get his low showings used to low ball him to a level under his tier more than most, if not any other character on Comic Vine". That may not actually be true, but it seems like it---and if the character is defended, or his many, many stellar feats are displayed, rather than conceding this, name calling, willfully ignoring his stellar feats (while claiming that only his low showings count) and other silly measures come into play. Too bad that---stuff doesn't work with me. 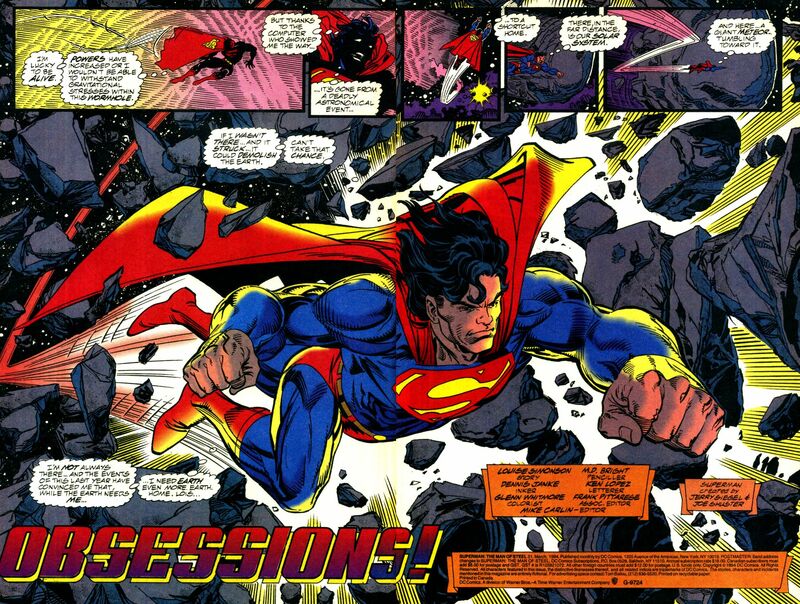 Superman has beaten the people he's beaten, and has the on panel feats he has. If that distresses you, don't come after to me, write to DC comics and express your concerns. 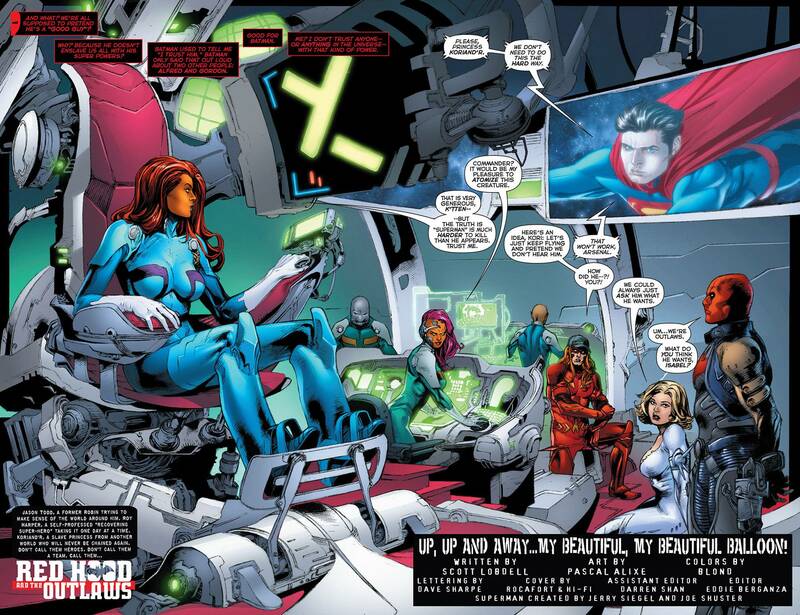 Meantime, for reasons I've detailed throughout the thread, Superman can hang with any of these heralds-his feats, strategy acumen, and powers and abilities allow it. @harbingerofmomz: The dogged determination to "disqualify" the 'Zone is hilarious! What, do you-and people who think like you-get some kind of brownie points taken away if Superman wins, or something? This is like that William Shatner/Saturday Night Live skit where---ah, forget it. (B) Speaking of general rules, it is said that the Comic Vine universe is an amalgamated one, so all can have access to their nomal, usual attributes despite the fact the combatants come from different universes. So, your latest attempt to "disqualify" the Phantom Zone=Another Fail. As for Stardust, that was who was being discussed at the time you tagged me, so that's who I spoke of regarding the use of the 'Zone. Anyone of the heralds-should you desire to-can be discussed. just as with Silver Surfer, Kal has the stuff to withstand whatever Stardust-or any other herald-puts out, and the versatile power set to take Stardust and the others out. A. Never said it didn’t? C. The universe isn’t amalgamated in the way you’re thinking it, it doesn’t mean they have access to their respective home bases or can go back to their universe whenever they want, it simply means that both of them would be at full power despite what universe they’d be in, like if you put someone with the infinity gauntlet against a non marvel character, the gauntlet only works in the marvel universe but via forum rules it would allow the gauntlet to work regardless of what universe it’s in. to react long before Radd gets anywhere near Kal to do all those wonderful things to him. and how he did in Superman issue 170 which rendered Mogul's and Mongal's combined energy blasts ineffective). 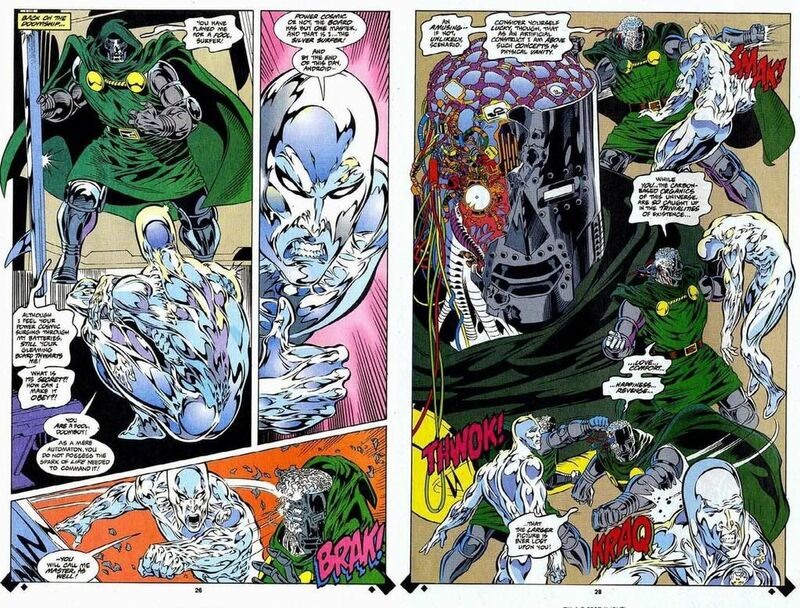 Silver Surfer indeed has a lot of versatile abilities at his disposal. But Superman has a lot of versatile abilities at his disposal that can compensate. If one doesn't use the typical Comic Vine tactic to lowball Superman-playing the "Heads I Win, Tails You Lose" game where ALL of his low showings "count" but NONE of his stellar ones do (while of course, doing the reverse for Surfer by stating ONLY his best feats "count" but NONE of his defeats do), willfully ignoring Superman's stellar feats altogether, claiming the above is "too long" and refusing to read it, devolving into juvenile name calling, creating silly memes, etc.---there is no reasonable, factual way to deny the above scenarios could absolutely happen. ...thus, if Superman can legitimately get past The Silver Surfer, he can get past anyone else on the list that comes before Radd. @harbingerofmomz: (A What is this, the Pee Wee Herman thing? "Does Too!" Does Not!" "I Know You Are, But What Am I"? (B) There is "literally" no text to bolster what you're saying. Look, with respect, you're wasting my time with this. I've been patient, but I don't get into 25 page "Did Not!" "Did Too!" playground back and forth drama with people. You are free to Believe What You Want To Believe; your determination, as I said before, is very telling. My entire presentation for Superman, as my many posts show, is not The Phantom Zone, anyway. So unless you have something new to contribute to the conversation, such as why you think a character does or does not win in this thread, I'm done with this line of discussion. @theonewhoknows: there is literally a picture supporting it... and says the battle forum rules. And if im wasting your time why did you fight that point to no end? Superman has his standard gear for this fight and that’s it, how many threads have you read where someone truly argued a character immediatly flys away to grab gear? It’s hilarious you actually argued for it. All you’ve done is disregard what anyone else says, then post the same scans over and over and say the same thing over and over I’ll quit wasting your time if you quit wasting everyone else’s. @harbingerofmomz: *Shrugs* I tried to warn yall, you were just wasting your time.